A Global Problem: Most people in the U.S. are already aware that public education in the U.S. is broken. A February 2012 article -- New analysis makes case for higher ranking for U.S. schools -- claimed that the problem is not as bad as we thought, because differences in math performance between the U.S. and other countries are actually small. This only confirms that the problem is not limited to America alone! 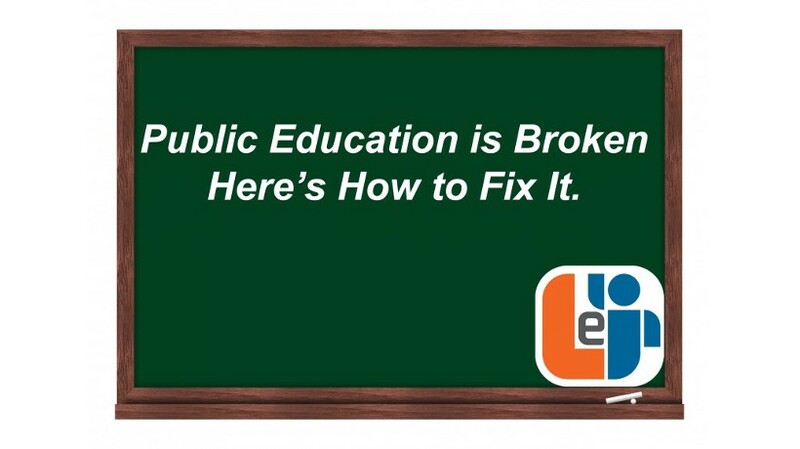 The dire need for repairs still remains, despite a broad range of approaches designed to fix public education. The pendulum swings to and fro. This year, the highly politicized strategy is to increase the stringency of standardized tests (often without warning) and then to blame the teachers for the widespread failures of their students to meet those standards. But is a high school Algebra teacher to blame when the majority of students in her class never learned the basic foundations of math in earlier grades, such as times tables, addition and subtraction tables, fractions, decimals, percentage, and properties of negative numbers? Politicians claim that raising testing standards will, in time, fix the problem. They worry that they will not get reelected unless they appear to be solving the problem with “tough love.” Administrators worry that their schools will lose Federal or State funding. Wealthy corporate stockholders worry that their profits will fall. Teachers worry that they will be blamed for failures of their students on standardized tests. They are also concerned that enthusiasm for learning, creativity and critical thinking will be lost when students “study to the test.” Parents worry that their kids will not survive in this increasingly competitive global marketplace; that their kids will not learn to become the best human beings they can be. Students worry that they will not be admitted to their preferred colleges. As a professional tutor, I am often reminded of the importance of parental involvement and expectations in raising a kid’s performance level. But I also see that the kids are not getting what they need in the classroom, even when they are highly capable and motivated to do so. We need to empower the students. For decades, we have told our students, “just do what we tell you to do, like good little boys and girls, and don’t do anything that we don’t tell you to do.” Then we wonder why our kids have little motivation and an “employee” mentality before they even enter the workforce. We won’t prepare students to be good people or to survive in the global marketplace by disenfranchising them. This generation of kids will not survive unless they learn how to take the initiative, to find what they need and to constantly reinvent themselves. We need to encourage kids, right from the beginning, to take ownership of their own education and their own lives, to learn to be resourceful and become their own teachers. They need to routinely find what they need to solve a problem or to understand some facet of knowledge. And the good news about the so-called millennials, or Generation Y, is that, according to Emily Matchar’s recent Washington Post opinion piece, they will not, in the workplace, put up with the same insults that their parents thought were inevitable. And if that is true of the workplace, then it is true of the schools as well. Either the educational establishment will get its act together, or kids—armed with cloud technology—will take matters into their own hands. Get You Head Into the Clouds! Both kids and adults are motivated when they learn to dream big dreams, to visualize success, and to see how their daily habits and actions contribute to their own goals and their own quality of life. The new wave of cloud-based educational resources was inspired in part by Salman Khan, who provided one of the best early examples of what can be accomplished by a single person. Originally armed with nothing more than his own knowledge, a digital tablet, something like Microsoft Paint, and an Internet hookup, Sal has created thousands of free videos for all ages. They provide crystal-clear, user-friendly instruction across an incredibly broad range of academic subjects. So you didn’t learn about negative numbers, or long division? No problem: click or touch here! Kids come alive when subjects that they failed to grasp are within their reach for the first time. They gain self-confidence, and lose their fear. They develop new habits, and look for another small win. The mere fact that kids have voluntarily watched over 100,000,000 cloudcasts from khanacademy.org speaks volumes. No, Khan Academy is not perfect. That is not the main issue, is it? Khanacademy.org is just the tip of the iceberg. Stick around—things are going to get very interesting, very soon. If you don’t want to see your kids, or your students, texting in the back row in the classroom, then give them something better to do with their mobile devices! Einstein said that we cannot solve a problem with the same mindset that created the problem in the first place. Kids of the future (and that future is already here) won’t stand the same, tired old hierarchical, authoritarian model for education. The future of education is bright. Listen to what the kids are saying. If you cannot embrace the powerful new tools and attitudes that will, without a doubt, transform our public education, then at least don’t block the light!